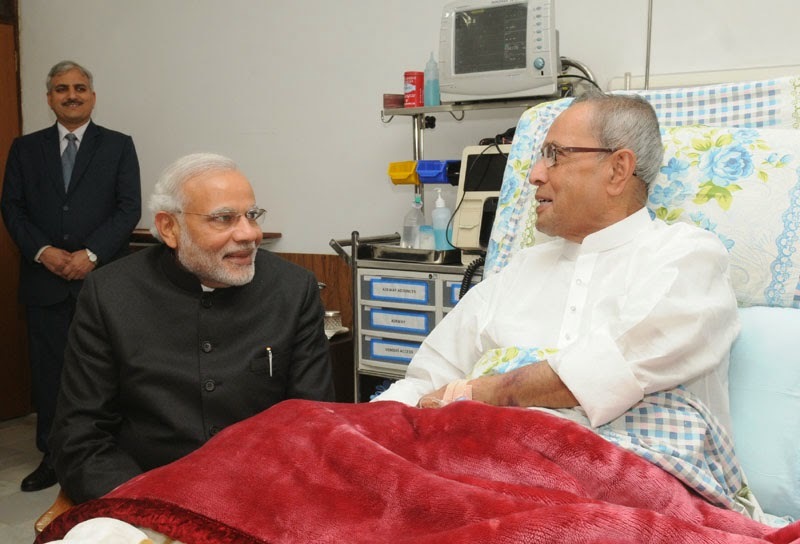 The Prime Minister, Shri Narendra Modi, today called on the President, Shri Pranab Mukherjee, at Army (Research and Referral) Hospital in New Delhi, and inquired about his health. 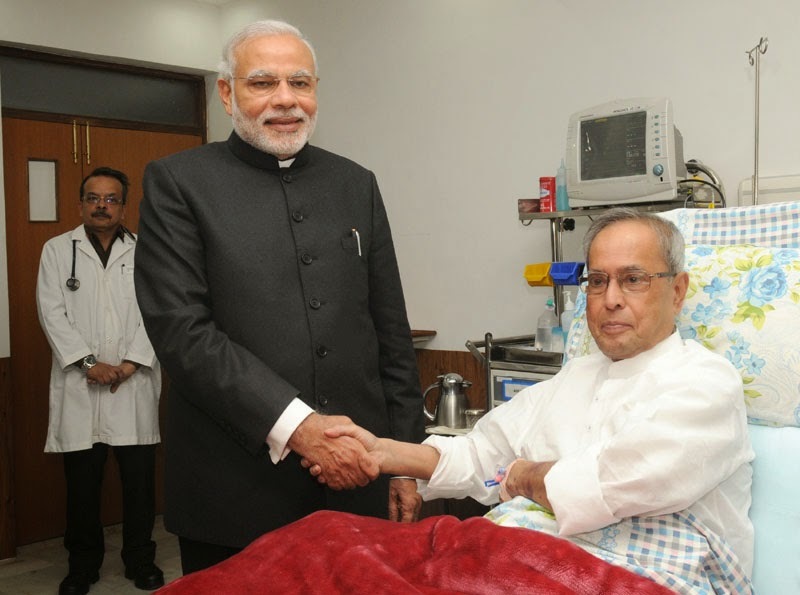 The President of India, Shri Pranab Mukherjee has expressed deep anguish and strongly condemned the killing of innocent school children and teachers by terrorists in the Army Public School, Peshawar today (December 16, 2014). The President said such heinous acts are against all tenets of humanity. They are nothing but a manifestation of the extreme evil that terrorists are capable of. The world community must unite and redouble efforts to root out terrors from every country and society. The President of India, Shri Pranab Mukherjee has extended his greetings and felicitations to the King and people of the Kingdom of Bhutan on the eve of the National Day of the Kingdom of Bhutan (December 17, 2014). In his message to His Majesty Jigme Khesar Namgyel Wangchuck, the King of Bhutan, the President has said, “On behalf of the Government and the people of India and on my own behalf, it gives me immense pleasure to convey to Your Majesty, the esteemed members of the Royal family and the people of Bhutan warm greetings and felicitations on the occasion of your National Day. Our exemplary bilateral relations, based on deep mutual trust and understanding, have stood the test of time. Over the years, our close bonds have strengthened and our wide ranging cooperation has diversified in all areas of our shared interest. Our enduring friendship owes a great deal to the wisdom of successive Druk Gyalpos. We cherish your Majesty’s personal commitment to our unique and special relationship. I take this opportunity to convey to Your Majesty and to the esteemed members of the Royal family, my best wishes for your well-being and happiness, and also my best wishes for the continued progress and prosperity of the Kingdom of Bhutan”. 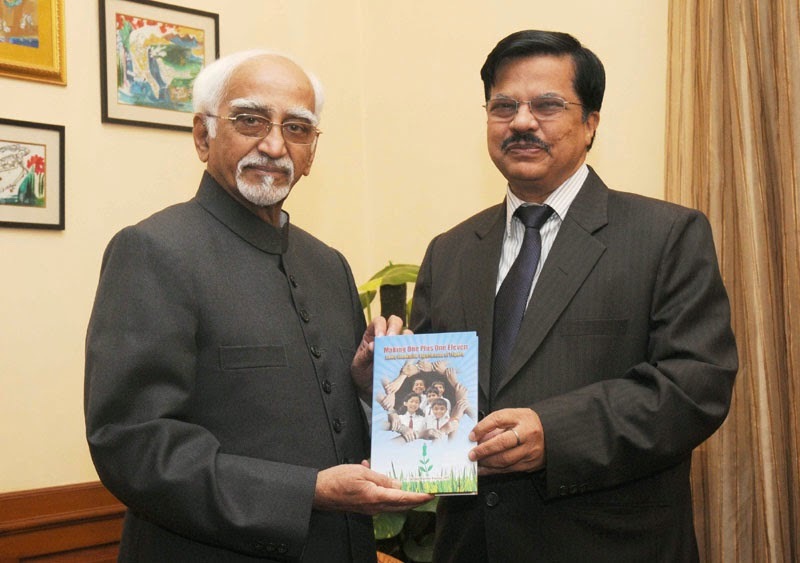 The Vice President of India Shri M. Hamid Ansari was presented with a book entitled “Making One plus One Eleven – Some Innovative Experiences with Tripura” by its author Dr. S.K. Panda, Secretary, M/o Textiles here last evening. This book on positive thinking and team building is based on experience of implementation of various welfare schemes in Tripura during his tenure as the former Chief Secretary, Tripura. The Vice President congratulated the author for bringing out a very useful book. The compilation in this book is like a garland of seventeen flowers (chapters) stitched together with hypothesis as the common thread, as a humble offering to the people. Each chapter has been written based on a common structure covering with (i) a brief background, (ii) International scenario, (iii) Indian scenario, (iv)Tripura scenario, (v) Action taken and its impact, (vi) the way ahead, and (vii) conclusion. The Prime Minister, Shri Narendra Modi has remembered sacrifices and valour of our Armed Forces, who courageously fought in 1971 war, on the occasion of Vijay Diwas. "On Vijay Diwas, we remember sacrifices and valour of our Armed Forces who fought courageously in 1971. We are extremely proud of them", the Prime Minister said. Lt. General (Retd.) JFR Jacob, today presented his books "An Odyssey in War and Peace: An Autobiography Lt Gen. J.F.R. 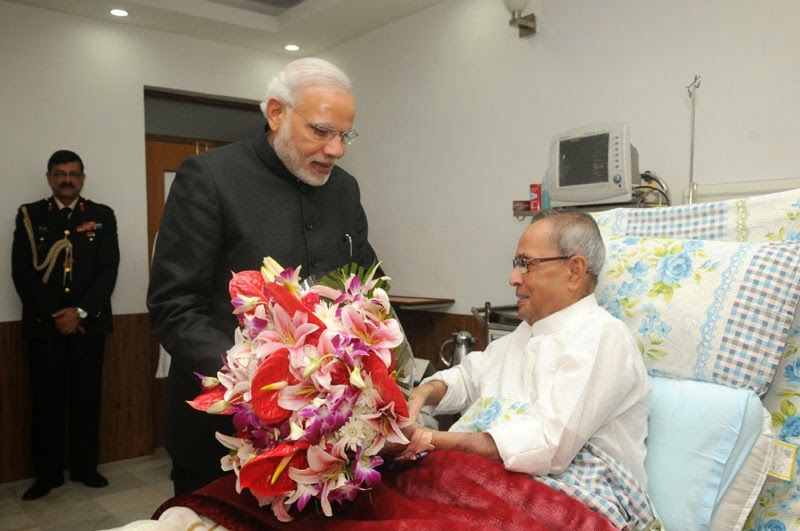 Jacob" and "Surrender at Dacca" to the Prime Minister, Shri Narendra Modi. The three Service Chiefs were also present on this occasion. The Ministry of Textiles has approved A “Scheme for promoting Usage of Geotechnical Textiles in North East Region (NER)” in order to capitalize on the benefits of Geotechnical textiles. The scheme has been approved on 3rd December 2014 with financial outlay of Rs. 427 Crore for five years from 2014-15. This would include Rs. 374 crores for Geotextiles Material application and Rs. 53 Crores for the training and other soft components. The use of this modern and globally proven technology will help in creating Roads and Infrastructure in North East (NE) which will require less maintenance and shall have longer life. North Eastern Region has young Himalayas which are prone to landslides, has high seismic activity and weak soil conditions. The Geotextiles technology shall prove an apt solution for such conditions. The scheme envisages use of Geotextiles on pilot basis for demonstration and proving efficacy in areas of Road and infrastructure building, Slope and hill protection and Water Reservoirs in North Eastern States. The scheme aims to utilize Geotextiles in developing infrastructure in NE by providing the incremental cost for utilization of Geotextiles up to 15% of the project cost. The scheme will be driven by Textile Ministry’s Centers of Excellence and will also provide technological support, capacity building, training, market development support and create awareness about Geotextiles by supporting the entire Supply Chain. North Eastern Region is prone to heavy rain fall. The use of Geotextiles in water reservoirs will help in storing the rain water and shall address the water scarcity in the region. The use of Geotextiles in slope and hill protection shall prevent the landslides which are common in North Eastern Region. Once the Technology is demonstrated in North Eastern Region which is one of the most difficult terrains, it is expected that usage of Geotextiles will increase in NER and also in rest of India which shall result in growth of Industry and hence employment. The North Eastern Region of the country comprises of eight states, Arunachal Prdesh, Assam, Manipur, Meghalaya, Mizoram, Nagaland, Sikkim and Tripura. The region occupies about 5.6% of the total geographical area of the country. In spite of rich biodiversity and ethno-cultural richness the region has its share of problems in terms of infrastructural inadequacies and connectivity etc. Varied climatic and geophysical conditions of this region make the general infrastructure of the region, such as roads, fragile and susceptible to frequent damages. Due to heavy rains and unstable geographical conditions the hills slopes lead to frequent landslides thereby damaging roads and causing serious erosion problems. In spite of heavy rains the region faces serious water crisis as the rain water cannot be retained and stored. Traditional civil engineering solutions for construction of hill roads in these landslide prone and sinking terrains have not been very successful to retain the infrastructure for a longer duration, needing frequent restoration and repair leading to heavy expenses. Geotechnical textiles are used world over to address some of these problems with proven track record as a technology world over. Therefore, these materials carry a huge potential for use in these regions in projects relating to road construction, hill slope protection and erosion control, and reservoir lining for water retention.